CCTA started in 1973, when traffic started to increase suddenly. The first bus route was Route 30, and they offered entirely free services, and were running on General Motors T6H-5305A's, and Mack C-49's. They started to go bankrupt, and was fortunately saved by the Cayuga City Council in 1992. 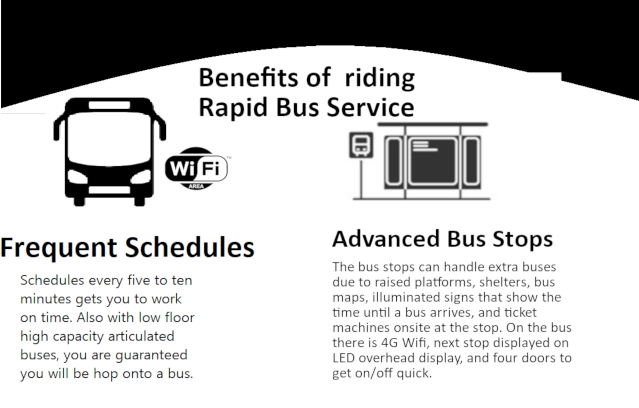 They bought CCTA and revamped all the bus routes, adding in 42 extending into University City. The most notable moments were when they bought TMC RTS's and Flxible Metro's. These had low maintenance cost, and they were fast. They tried introducing Route 99 into Keystone City, but the Keystone City authorities rejected the offer. In 2002, CCTA bought 152 New Flyer's (35 D40's, 55 D40LF'S, 21 D60HF's and the rest D60LF's) and several MCI models for the new 102 and 150 express routes. These were the first batch of articulated buses. In 2013, they retired all RTS's and replaced them all with New Flyer Xcelsiors, and added Novabuses, Solaris's, and Gillig's. Following year they bought Vanhool triple articulated buses and even more Xcelsiors for their Central and Boulevard Direct routes. KTA: In 1996, a man called Richard Goodwin started a petition for a bus company here for Keystone City, which succeeded. There weren't very wealthy so they ordered mainly used TMC RTS's. In 2017 they bought a bunch of New Flyer XDE40's. GREAT: Greenville, York and Springfield all agreed on a bill to fund a transit company that would have 5 bus lines inside those city limits. 201, 202, 204, 205, and 206. They bought used D40LF's. They were a well running company. They then bought XN35's in 2014. Lakeland: Lakeland had a bus terminal, and were originally apart of CCTA's plan. However, someone just split from the plan and made Lakeland Transit. The original route, 210, was scrapped due to bad routing, 212 was scrapped too due to low ridership, and 214 (original) was scrapped due to complaints of noise, all in 2004. 214 was rerouted and in 2005 they introduced Routes 214->219. They were very low on funds, and only managed to get a used fleet of 80 buses including Orion V's, MAN NL202's, and TMC RTS's built in the 1990's. Lakeland currently has a low ridership problem, and due to mechanical problems and insufficient funds to buy a new fleet, they will soon be bankrupt. CCTA is refusing to save Lakeland Transit in revenge for splitting of original plan.